The Love Boat ran for 10 years, from 1977 to 1987, and yet in all of that time it never once hosted a xenomorph or rotted corpse as a guest star. Well, thanks to YouTube user RIJIR, that has been retroactively remedied with this opening credits sequence that includes some favorites from horror films making an appearance as guest stars and as the crew of the Pacific Princess. It’s a veritable who’s who of horror that Fangoria readers will gush over as they explode onto the cathode ray television. 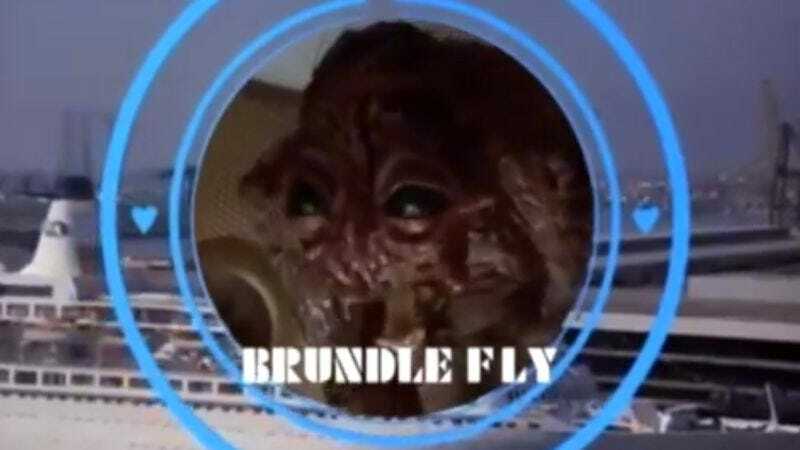 From Bruce Campbell’s doomed hero Ash of The Evil Dead series, to The Fly’s horrible mutant Brundlefly, RIJIR goes with some well known characters as well as more obscure ones (always nice to see The Return Of The Living Dead’s “Tarman” get a shout out). It’s fun to imagine the festival of frights that would unfold between the monster mash of characters. It’s also fun to imagine Danny Trejo’s Razor Charlie offering romantic advice to Phantasm’s Tall Man, who is brokenhearted and can only find solace in the bottom of a bottle of Bartles & Jaymes. The world would be a better place if all of these horrific creatures could find love on the open seas. Or at least, it would be an aquatic bloodbath that could all be smoothed over with some shuffleboard and a heart-to-heart with the ship’s steward.